Summary: Is the weather warming up where you are? Looking for an easy and yummy vegan drink to help cool you off? Try making our Frosty Mint Julep, Green Smoothie, or Coffee Milkshake! Is the weather warming up where you are? Looking for an easy and yummy vegan drink to help cool you off? Try making our Frosty Mint Julep, Green Smoothie, or Coffee Milkshake! These vegan drinks for sunny days can be easily whipped up in the blender, so it’s possible to have a luscious and chilly breakfast, snack, or dessert within minutes. A Vitamix works wonders in getting these beverages into their most fantastic texture. But, any blender should produce pretty good results. Enjoy these vegan drinks recipes and enjoy your amazing vegan life. The animals are lucky to have you committed to their life and happiness. Kids and adults can enjoy this frosty and fruit summer drink. Mix all ingredients, except for mint leaves, in a high-speed blender until ice is thoroughly mixed in and texture is slushy. Pour into individual glasses and garnish with mint leaves. 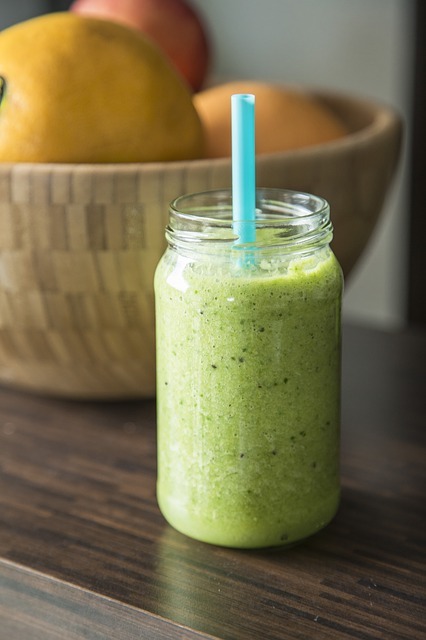 Make this nutritious summer smoothie for breakfast or a light lunch. Pair it with vegan cheese and gluten-free crackers, if you like. Top this coffee milkshake with a generous helping of non-dairy whipped cream. Blend all ingredients in a blender until consistency is smooth.